Since my car was still in Dayton after the Atlanta trip, my mom offered to drive me back to a midpoint where Dan would pick me up. The Rave Theater is that point on the map. I like this place because they have pretty lights and big screens. 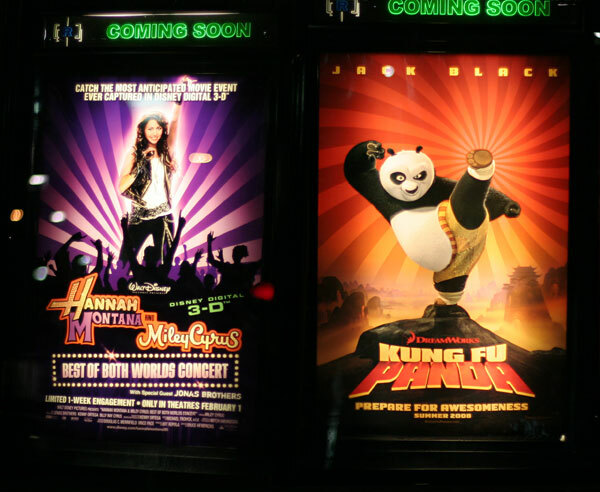 I thought the similarities between these two posters was mildly amusing for no good reason. In other news: It's about time to retire these tulips. I want to see The Breeders on tour but they're not playing anywhere close. It's almost 5am and I should be in bed.